BE the CAUSE is the cooperative, annual fund campaign of the AFP Foundation for Philanthropy and our chapter. 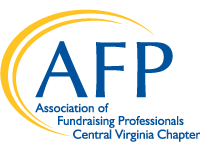 Your investment in the AFP Foundation for Philanthropy will help support local, national and international programs, including Diversity & Inclusion, Professional Development, and Research. One-Time Gift: Donate online, mail a check, or call 703.519.8448 to give with a credit card or to transfer stock. Monthly Giving: Make a recurring gift and become a member of the Alpha Society. Pledge: Make a pledge with a specified payment schedule using the BE the CAUSE Campaign Pledge Form. Thank you so much for considering making a contribution to the campaign!